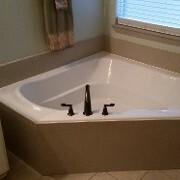 Tub and Tile Refinishing Versus Replacement! 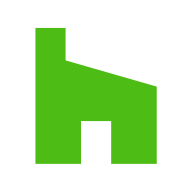 Remodeling or redecorating your kitchen or bathrooms can be expensive and can take more time than you might think. 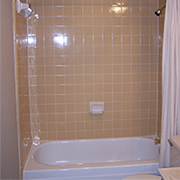 All Surface Refinishing can help with REASONABLE remodeling by refinishing tubs, showers, shower pans, tile walls, and vanities in baths or countertops and cabinets in your kitchen. We can refinish a complete bathroom in 1 to 2 days, kitchen countertops in 1 to 2 days and kitchen cabinets in 4 to 5 days at a fraction of the cost of replacement. 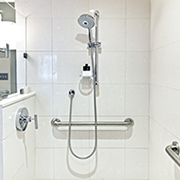 Whether you're looking for just tub refinishing or full-scale bathroom refinishing, we're here to help. 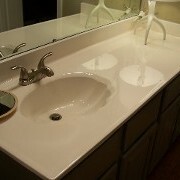 We also can repair chips in tubs, sinks, and cultured marble vanities for homeowners or builders. Count on us to transform your space quickly and at a really REASONABLE price. We can usually give you a price on the phone. 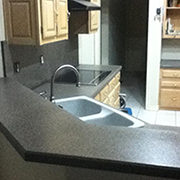 Make your kitchen or bathroom look like new at a fraction of the cost of replacing with ALL SURFACE REFINISHING. We are in Richardson, Texas and have over twenty years of experience and can make surface areas look new again. We provide repairs on most surfaces as well. 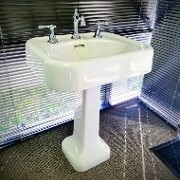 Refinishing is a process that can modernize your bathroom or kitchen at a fraction of the cost to replace.